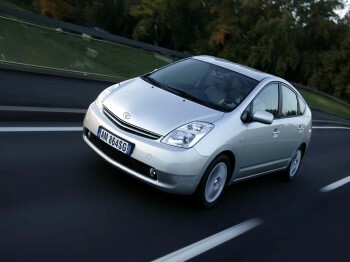 The car market today is witnessing a substantial demand for hybrid cars. The reason for people preferring to buy hybrid cars over the traditional gas fueled cars, is the several advantages that hybrid cars have to offer. As a result of this new found interest in hybrid cars and the expected rise in demand for them from potential new car buyers, the car manufacturers are presently very busy in introducing their exclusive models of hybrids. But as the market experience is growing and developing, certain people who have had the first-hand opportunity of owning and using hybrid vehicles and even car experts for that matter, have realized the fact that the hybrid car technology has several disadvantages too. 1. The fuel consumed and the expenditure incurred on fuel is less – The buyer of a hybrid car would spend less on car fuel because hybrid cars have this technology built into them that reduces consumption of fuel. Car companies are taking further steps in terms of spending additional funds for newer efforts, to continue improving the fuel economy of their hybrid cars. The current technology involves providing another source of power by electric motors, which reduce the burden on the gas-driven engine and consequently less fuel is required by the car. The electric power is used by the car in certain situations only, like when in idle mode or when the speed of the car is less as in heavy traffic and the gas-powered engine automatically comes into play when more power is required as when the car is running at high speeds or when load on the car is higher. This dual propulsion mechanism of the car alternating between gas-engine and electric motor, results in reduction of fuel consumption as a whole and consequently the fuel costs. 2. Decrease in emissions of CO2 – If the gas fuel consumption is less, correspondingly the emission of CO2 into the environment by the car will be less thus helping more to safeguard the natural environment, because increased use of hybrid cars on the road will result in less emission of greenhouse gases into the atmosphere. 3. Incentives and tax benefits from the government – The federal government has given incentives and tax benefits to manufacturers of hybrid cars as these cars are environment friendly. This results in financial benefits to the car buyers by way of cheaper auto loans and less expenditure on buying new hybrid cars. So hybrid cars are considered to be easier on the buyer’s budget in a way. 1. Hybrid vehicles cost more – A major argument for not buying a hybrid car is its high initial price. The production cost of the car is higher as the technology used is advanced and so the car components are costly resulting in higher capital requirements for a hybrid car manufacturing project. The car companies recover these high investment costs by pricing the hybrid cars more than the conventional cars. 2. Hybrid vehicles are costlier to maintain – The components used in the car being of advanced technology prove to be very costly at the time of replacement, more so if the maintenance work is to be carried out urgently. The limited availability of the spare parts and components makes things more difficult for the car owner to source them at the service centers. Instead the car owners may have to get them directly from the car company and also pay for the shipping costs to get their car back on the road in top condition.